The Kickstart artist card set features the work of Yuki Goodman, Kevin (Kevo) Lee, Kathryn Alma-Nihte, Deborah Leigh, and L.J. Throstle. 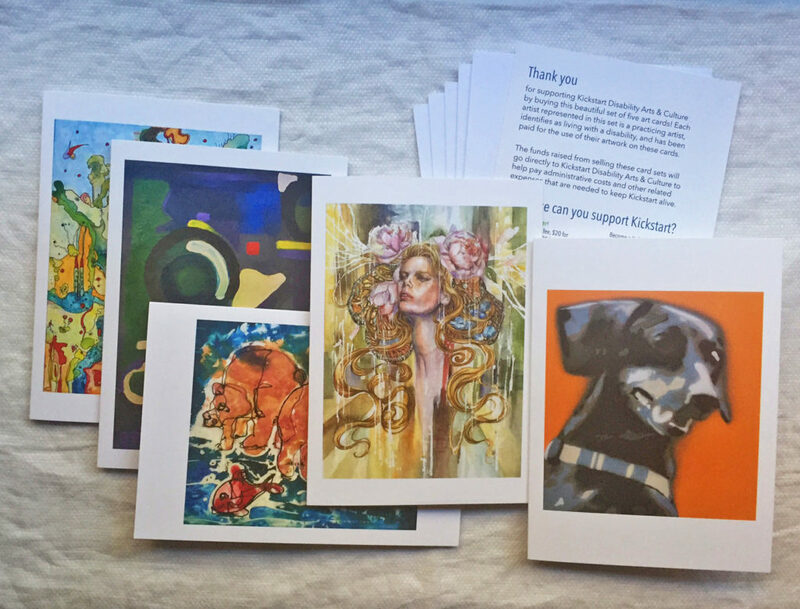 Each set comes with five(5) 5″x7″ cards, 5 envelopes, and an informational postcard. Each set is $20.00 (plus $5.00 shipping for the first set and $2 for each subsequent set). All proceeds go to support programming and administrative costs at Kickstart Disability Arts & Culture. The cards are sold in sets and are not available individually.